Dental safety is drilled into us at an early stage, but when we are out on the sporting field in the heat of the moment, safety is the last thing on our mind. That’s until someone gets their teeth knocked out. If you don’t think it happens too often, think again. It even happens to some of your favourite sporting code’s superstars. Whilst we hear about these types of ‘accidents’ at a professional level, grassroots sportspersons are in just as much danger. So what can be done to improve mouthguard take up, and turn it into a profitable business? One ASX listed company in the process of a reverse takeover (RTO) is set to rectify the problem. This ASX shell plans to acquire a leading online, mouthguard supplier that offers an end-to-end custom-fit service – that not only produces a mouthguard without the need to go to a dentist, but is also aligned with every major health fund. It hopes to disrupt a market that is estimated to be over $65 million based on an average cost of $50 across 1.3 million mouthguards sold annually. This company is still in its early stages and yet to be finalised, so professional advice should be sought if considering this stock for your portfolio. This company is targeting the gap in the market that is between custom made mouthguards priced at $300, compared to the over the counter $50 garden variety. In fact, this company’s finished product can cost as little as $2 with health rebates applied. That’s a custom-fit mouthguard for potentially only $2 that comes back to you within 10 days. For those 1.3 million sports participants, who will inevitably change their mouthguards once a year, that’s could be a big money saver. This company is smashing the cost of traditionally expensive, custom made mouthguards and making them accessible to every day Australians, via a simple online ordering process. This company’s aim is to become the pre-eminent operator in a fragmented dental service market and increase that 1.3 million mouthguard user number. With planned international expansion in the works, NRL, NBL and AFL ambassadors ready to be signed, and product diversification set to drive future revenue, this company’s ambitions shouldn’t be ignored. The other is a former basketball executive involved with NBA team the San Antonio Spurs and who has an outstanding track record in sport management which includes the Beijing Olympics. That is serious sporting pedigree. So let’s have a look at how this company intends to score some goals of its own. Mount Magnet South (ASX:MUM), is an ASX shell moving out some uncommercial gold assets, to punt shareholders into the very active and potentially very lucrative professional and grassroots sports arena. 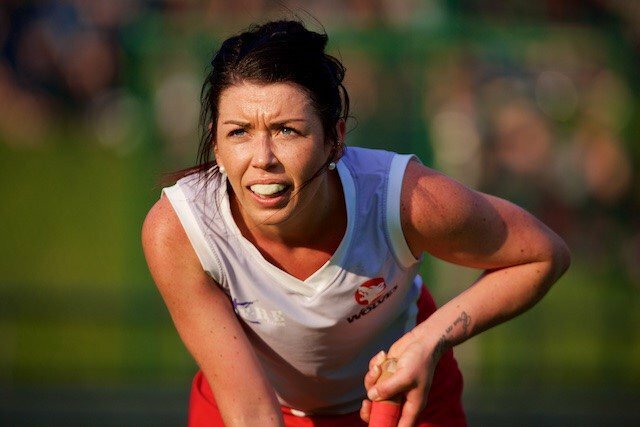 MUM intends to take over retail mouthguard business Gameday International which can provide custom fit mouthguards to everyone who plays a contact, or non-contact, but still physical sport. To complete the deal, MUM expects to raise $2 million before re-listing on 18 May, and will pay Gameday $150,000 in three tranches while issuing 880 million shares in the company to current Gameday shareholders. MUM will also seek to change its name to Impression Healthcare Limited. It’s a classic line from the Kevin Costner movie Field of Dreams that reflects the attitude of everyone involved with Gameday International. Since 2009, under the guardianship of Alistair Blake, Gameday has been building a boutique, custom-fitted mouthguard supply business that aims to protect the teeth of kids participating in sports around the country. 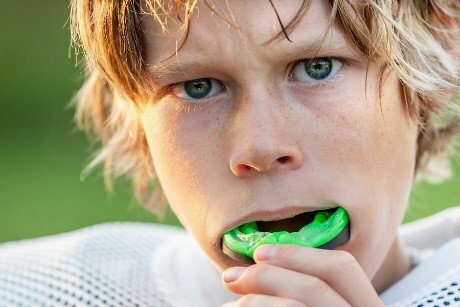 However, Australian Dental Association research indicates only 36% of children aged between five and 17 wear mouthguards during sports games. That’s not enough kids protecting their teeth or jaws. What are the other 64% or approximately 1.7 million kids doing? It should go without saying that there is huge potential within this very addressable market. And at least half of the sports here would require its participants to wear mouthguards. So it is a canny move by MUM to settle on a market with so much potential upside. MUM will acquire Gameday International by handing the vendors of this emerging mouthguard business control of the restructured ASX listed vehicle. 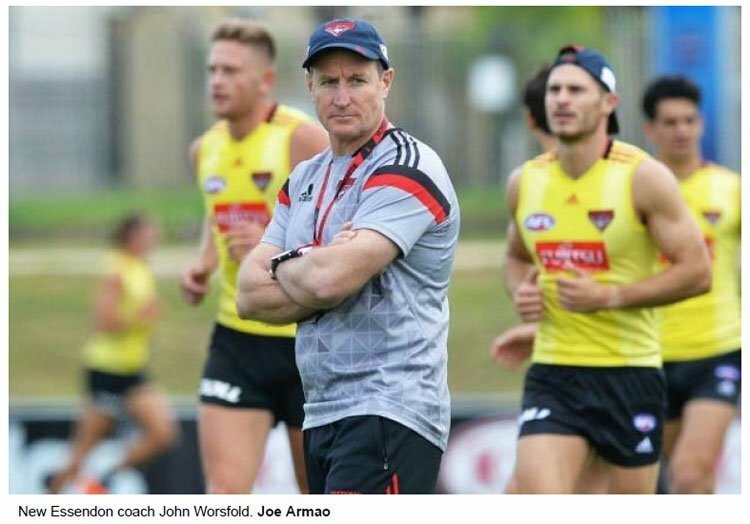 Those who follow Australian Rules Football (AFL), would know of John Worsfold . 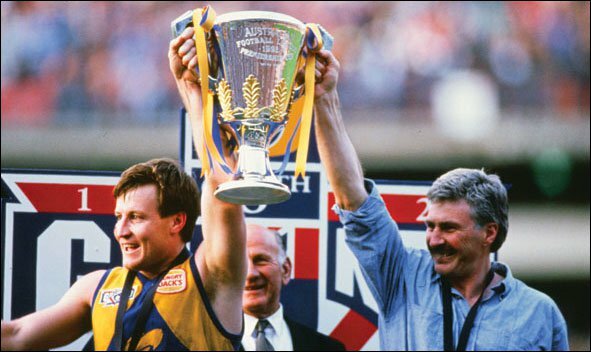 He is one of the most respected AFL coaches in the league – a dual premiership player, and a premiership coach with West Coast. He is now the coach of Essendon Football Club, and a perfect fit for spreading the Game Day message across Australia. He has top leadership credentials and clout behind him. To top it off, he also holds a pharmacy degree. It is no wonder Essendon has hired him for their top job. He is the perfect man to guide the club through its current difficult time and move them into a position of strength in the future. That is what you want of any leader, or spokesperson. And that is what John ‘Woosha’ Worsfold brings to MUM. Of particular importance is his attitude toward player safety. If there is anybody who knows about the importance of player safety, it would be an AFL coach who would have a pretty good understanding of the risks involved of playing sport without proper mouth protection. There are other examples of ‘teeth fatalities’. Recently, during Newcastle’s A-League one-nil loss to Sydney FC, Mark Birighitti was kicked in the face by Sky Blues striker Shane Smelz. Birighitti lost several teeth, and needed around 40 stitches to his chin and lips (the following video may disturb some viewers). If that doesn’t drive home the importance of mouthguards, nothing will. For potential shareholders, having someone such as Worsfold involved offers gives this company credible backing from one of Australia’s most highly regarding and influential leaders in the sporting arena. Of course, Worsfold is a shareholder as well – so he is backing this company to succeed. However, this alone should not be cause for an investment in this stock – always consider a range of factors before choosing to invest, including your own personal circumstances and risk profile. ‘Woosha’ will serve on the company’s board as a non-executive director and brings a wealth of experience in the AFL to the role. But he isn’t the only high profile sports person to be involved. Gameday CEO Matt Weston is himself highly credentialed. Weston has 20 years of experience in business and sport including positions in the National Basketball Association with the San Antonio Spurs and was a technical director for the Beijing Olympics. He has worked with some of the world’s largest sporting brands on marketing and partnership, including managing Infront Sports and Media’s exclusive commercial rights to the Chinese basketball League and also managed the strategic connection between grass-roots participants and government. Weston understands the importance of grassroots participation and he hopes to achieve similar success with Gameday in Australia as he did with basketball in China. With the right people on board, including Alistair Blake, the dental prosthetist who started it all, MUM is standing at the centre bounce, mouthguard intact, waiting for the siren to blow. MUM is set to acquire 100% of Gameday and will pay $150,000 to Gameday in three tranches. Upon completion of the acquisition 880 million fully paid shares will be issued to shareholders. This will be followed by 800 million performance shares. Gameday will receive 400 million shares once they have sold 30,000 dental devices in any 12 month period three years from the time of issue. The other 400 million shares will convert once Gameday has sold 60,000 dental devices in any 12 month period within five years of the time of issue. To complete the transaction, MUM must raise $2 million to fund the company’s growth and development. What sets Gameday apart is its cost and service. For approximately $85 upfront, concerned parents and diligent sportspeople can order a kit which allows them to take an impression of their mouth at home. They then send the resulting impression back via an included reply paid envelope. The business operates Australia-wide, with planned international expansion on the cards. Weston believes that custom made mouthguards are unlikely to be isolated just to Australia. The finished product can cost as little as $2 with health rebates applied. Gameday’s mouthguards can include the customer’s team colours and their name and phone number. This could be entire teams or individual players. Gameday is working hard behind the scenes to involve regional clubs and educate them about the value of mouthguards for their players. Indeed, this is not only a business built on high quality, bespoke mouth protection, another of its objectives is to educate the larger market. It is hoping that by providing a convenient service, it can encourage more parents and teams to buy mouthguards for their children. That should be enough of a sell, but unfortunately, custom-fitted mouthguards fabricated by dental professionals represent only about 2 to 4 percent of the mouthguard market. That’s poor when you consider that 71% of all dentists routinely recommend mouthguards for their athletically active patients. The problem is two-fold. The first, as we mentioned above is prohibitive cost. The second is lack of regulation. Let’s look at cost first. Going to the dentist is expensive. You’re already behind just for the visit. Then add the cost of having the mouthguard made by the dentist and you are looking at approximately $200-$300. 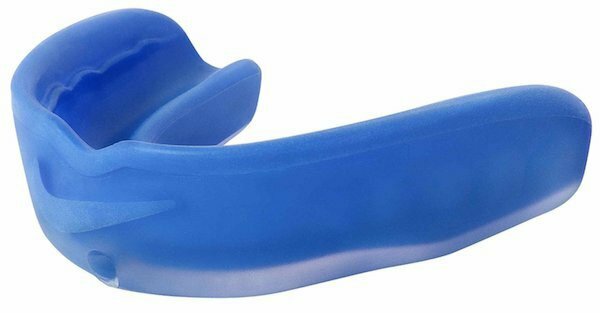 Over the counter mouthguards cost about $50 or less. Gameday is targeting the gap between parents who pay $300 for a custom-made dental mouthguard and the $50 boilerplate, over-the-counter variety. With the Australian Dental Association claiming that only 36% of Australian children aged 15-17 wear mouthguards, this is a highly scalable market. Gameday is gearing up to make more than 50,000 mouthguards a year – and if that was the case, the company could be bringing in millions of dollars of revenue. However, that is dependent on the uptake and how well MUM can penetrate the market, so apply caution when considering this stock for your portfolio. This market is also ripe for education. Gameday is working to raise awareness about mouthguard usage and is investing heavily in promoting the safety benefits of custom-fit mouthguards over boil and bite types. The company isn’t alone in their attempts at better education and safety practices. The Australian Dental Association warns against the use of boilerplates. The call has been made for good reason and it seems it is a call that is being heeded. When young veterinary graduate Christina Johnson suffered severe trauma when she was hit with a hockey stick wearing a boil and bite guard she called the ADA urging it to ban over-the-counter mouthguards. Dr Alldritt is calling for mandatory requirement for professional players of AFL, rugby league or union to wear a mouthguard. Should a ‘no mouthguard, no play’ policy be implemented across sporting organisations, it will further open up this large, addressable market and MUM will be in prime position to capitalise. With two high profile sports people on the Gameday team, spreading the message that wearing a mouthguard should be as routine as wearing a bike helmet or doing up a seat belt while driving, has been made that little bit easier. However Matt Weston and John Worsfold aren’t satisfied with their own influence, they are currently recruiting other high profile sportspeople. In the coming weeks, Gameday may be announcing NRL, AFL, rugby and women’s sport Gameday ambassadors. It is clear Weston knows how to develop massive uptake for brands, drawing on his decades of experience in professional sports. If used appropriately, athletic endorsers in advertising can serve a valuable role in enhancing a firm’s competitive position by not only contributing to building a favourable brand image, but also by having direct economic influence. More importantly, when used for good, celebrity endorsements can have a wide ranging, positive effect on community. That’s millions of kids who need to consider the protection of their teeth. However, while mouthguards are widely recommended as an essential piece of protective equipment, their use is not compulsory in most contact and collision sports. This may change over time, but for now, it is a matter of spreading the word. This is what MUM, through its planned acquisition of Gameday hope to do. 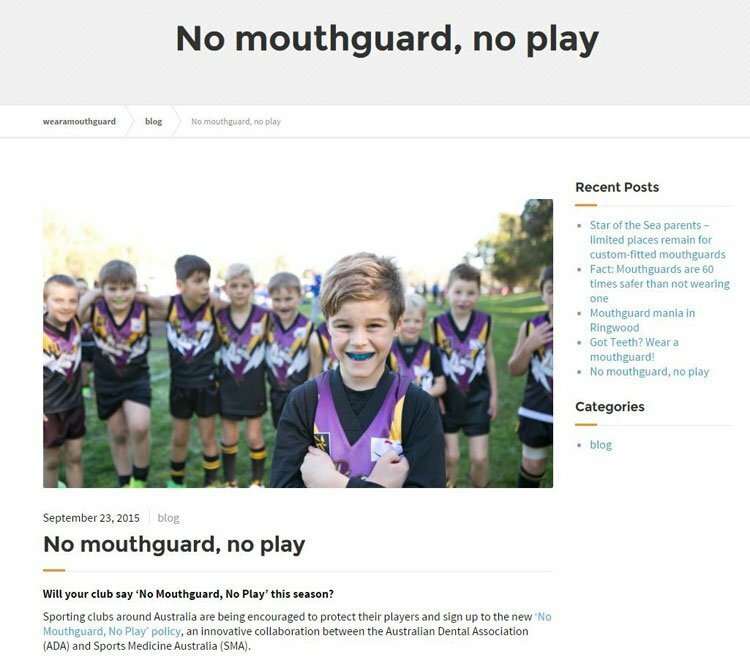 The company wants to spread the message to all sports clubs across Australia about the importance of mouthguard use. And through this education, MUM intends to put affordable, custom-made mouthguards into the mouths of tens of thousands of sports participants across Australia – and make it a profitable enterprise at the same time.